Nectir, a staffing franchise organization, announces the opening of its newest branch in Wilmington, Delaware. Nectir Delaware offers contract, contract-to-hire, and direct hire services to local and regional companies. Nectir Delaware is committed providing seamless service to its clients. Nectir Inc., an emerging national network of staffing firms, announces the opening of its newest branch location in Wilmington, Delaware. 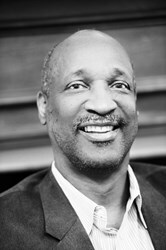 Raymond L. Paylor is the CEO and President of Nectir Delaware and also has an office in Dover. Nectir Delaware provides contingent staffing, contract-to-hire services, direct-hire services and rapid deployment staffing for local and regional companies in Wilmington and the surrounding cities. “We are thrilled that Ray has decided to expand into the Wilmington market. With offices in Dover and Wilmington, we are confident that Nectir Delaware will provide benefits to both employers and job seekers throughout the state,” says Doug Ortega, Executive Vice President of Nectir. The latest statistics from the U.S. Bureau of Labor Statistics show that Delaware’s unemployment rate is at 6.9 percent, nearly a full percentage point lower than the national average at 7.8 percent. Since hitting its low during the economic recession in December 2009, the state has added nearly 12,000 jobs. Employment growth is expected to continue throughout 2013 because of Delaware’s diverse range of industries including banking, pharmaceuticals, healthcare, manufacturing and agriculture. An increase in jobs makes adding a branch in Wilmington a convenience for employers. For more information about Nectir Delaware’s staffing services or open positions, please call 302-380-3895 or visit http://www.nectir.com. Nectir, was founded in 2010 in response to the changing dynamics of the staffing industry. The company provides back-office services, infrastructure, robust recruiting, payroll funding and marketing support through a franchise model that allows its franchise partners to focus exclusively on client-facing activities. Nectir staffing franchises are independently owned and operated and provide contingent staffing, contract-to-hire, and direct-hire services to companies in their respective local and regional areas. For more information, visit http://www.staffing-business.com or call 972-528-8262.